Planning board Chair Joe Lalley told residents at the meeting that all of their comments have been meaningful and are being taken into account, especially with regard to revisions of the proposed zoning map. He also added that he requested the town board solicit more public comment before the 4-year-old project was passed, which could happen as early as this winter. The Journal spends a bit more time on the property owners who think the law is too restrictive than on the other half of comments from people in Varna who'd like to see more detailed planning in the hamlet. Those seem to be the two primary conversations as this moves along, though I suspect we'll hear more pieces emerge as this develops further. Somehow "running his mouth" led to "severe head trauma" in a fight at a home on James Street. 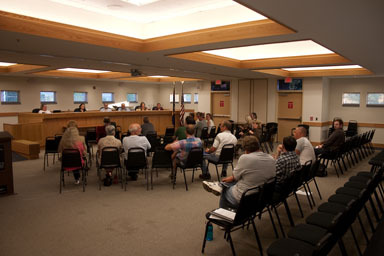 Enfield opted to change from collecting their share of sales tax to applying it as a credit to their county tax to be able to collect some additional tax on state forest land. Dryden takes its share of sales tax directly. This is one of those corners of public finance where all of the choices are strange, and New York State's collection of rules can push towns in various directions. One side effect is that it makes it very difficult to compare town tax rates directly. 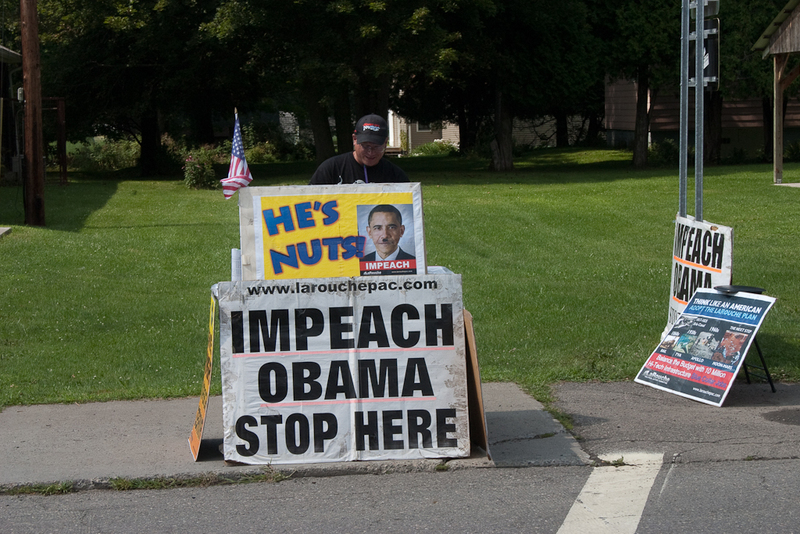 When I first heard there were big "Impeach Obama" signs in Freeville, complete with the Hitler mustache on Obama, I was worried that the worst of Tea Party excesses had arrived in Dryden. When I got to Freeville, though, I calmed down pretty quickly. 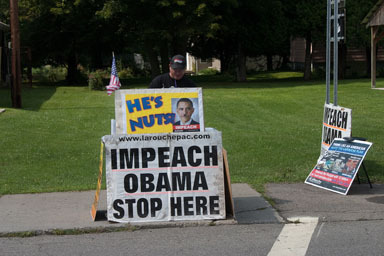 The protesters were Lyndon LaRouche supporters, who have busily protested all kinds of political and economic policies since before I was born, jumping from extreme left to extreme right in ways that are just hard to explain or even categorize. Bob Wesser shares a LaRouche literature collection. They're apparently on a "Western New York tour", and I found this article on an earlier appearance in North Tonawanda. 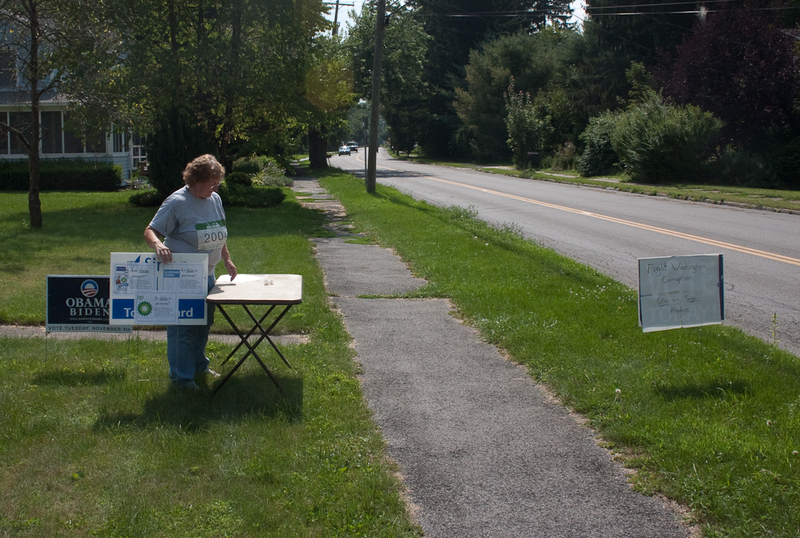 Their arrival provoked Jean Simmons to get out her Obama/Biden sign and put up a new sign encouraging people to sign a petition for the August 10th "Fight Washington Corruption" rally in Cortland. She also had signs questioning the recent Citizens United decision freeing corporations to spend all the money they want on politics. Jean Simmons sets up a table. 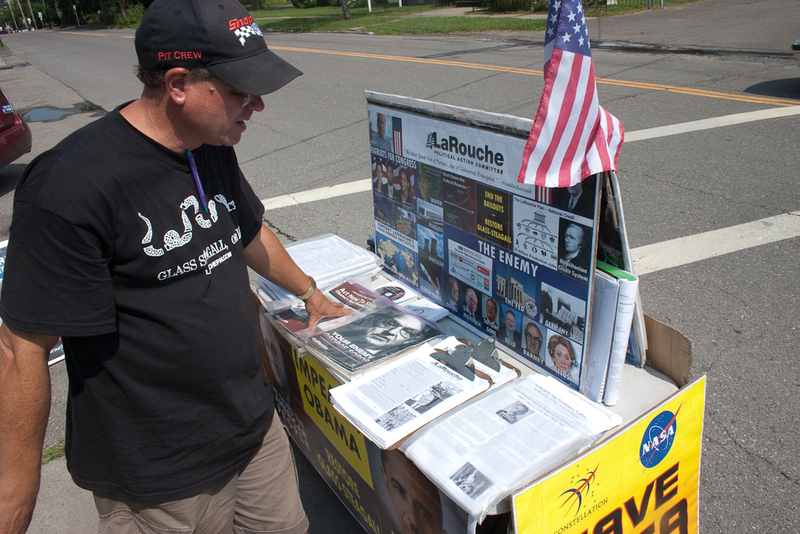 Hopefully the LaRouche tabling won't add too severely to the conspiracy theories already out there. I didn't have the heart to ask if they still thought the Queen of England is the head of a drug-dealing cartel. This morning's Ithaca Journal reports on the closure of Ellis Hollow Road westbound from Turkey Hill Road to Thomas Road as construction begins. In other road-related news, though just outside of Dryden, Forest Home is getting ready for some major road construction designed to slow the flow of traffic through their area. Forest Home is much like its neighbor Varna in that it has a cluster of older houses right on top of a busy road going to Cornell, though it's further complicated by almost all of that traffic having to cross one-lane bridges. 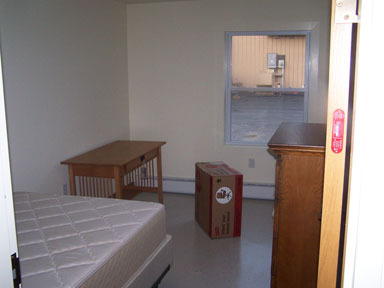 Its being closer to Cornell certainly gives it some economic advantages, but it's not all that different a situtation. For those who shop at the P&C stores in the Town of Ithaca, there's more grocery chaos coming as Tops agreed to sell those stores to settle a complaint about its dominance of stores in the area. I did wonder about having two stores across the road from each other on Triphammer. If you're planning on going to next week's EPA natural gas hearing in Binghamton, there's a small problem: it's not clear where that hearing will be held. Solid Waste Districts 1 Think this is the whole county. This also reminds me that the Town stuck a lamppost at the intersection of 79 and Brooktondale Roads without forming a district a few years ago. I believe the lighting along the 13/366 overlap belongs to the state, as well. There's also a blog piece on the history of school district consolidation that leaves me thinking we'd be wise to be cautious about running ahead into consolidations generally. The health violations list is out. Crossing from the county level to the state, Tompkins County Legislature Chair Martha Robertson was named to serve on the New York State Association of Counties' Presidential Commission on the State Takeover of Medicaid. This morning's Ithaca Journal visits one of my neighbors, The Orchid Place, telling the story of Tony Liu's business and how it's growing. I had no idea they were getting tour buses, but it's a great idea - there's lots to see there. They also list his tips for orchid care. In other gardening news, keep an eye out for late blight if you have tomatoes or potatoes. Holly Fodge of Freeville writes a letter about Ithaca's Amy Crockford case. 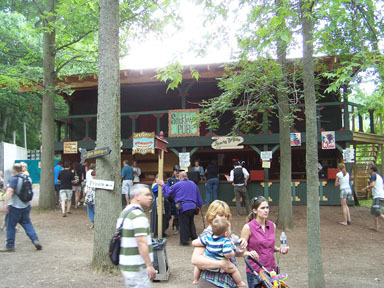 Yesterday, Angelika and I took Sungiva and Konrad to the Sterling Renaissance Festival with our friends Rolf and Susan Verberg, and their son Simon. They'd been there a few times, but it was a first for us. A lot of the fun, though, was just the place and the people. 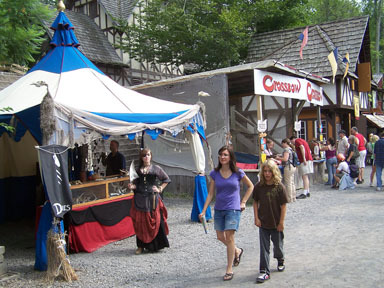 It's an established festival with lots of buildings and little businesses, offering crafts, food, and entertainment. 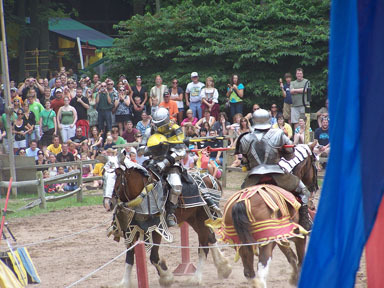 The jousting is a big draw, but there so many smaller shows we didn't get to see. A few of the food options. 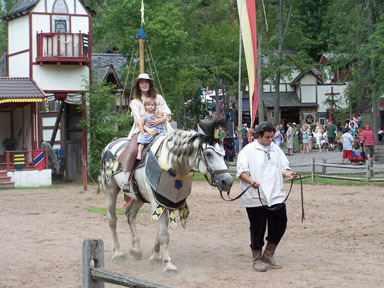 It certainly wasn't jousting, but Angelika and Sungiva enjoyed their ride on a warhorse! I've also posted a gallery of the festival, with lots more to see. I think we only walked about two-thirds of it in about six hours. It's definitely worth going there all day, and I'm sure we'll be back! It's been a while since I posted an excursion story. In most of the 57 MSAs where net earnings increased, the gains were concentrated in the government sector. Military earnings growth was particularly strong in seven of the ten MSAs with the fastest personal income growth in 2009: Jacksonville and Fayetteville, North Carolina; Manhattan, Kansas; Elizabethtown, Kentucky; Lawton, Oklahoma; Clarksville, Tennessee; and Killeen, Texas. Only in five MSAs (Kennewick, Washington; Cumberland, Maryland; Morgantown, West Virginia; Cape Girardeau, Missouri; and Ithaca, New York;) did the private sector account for most of earnings growth in 2009. There are 366 total MSAs, which helps make some sense of the 'rank'. Scheduling this has been a trainwreck - apparently they've now left Binghamton altogether and moved to Syracuse. 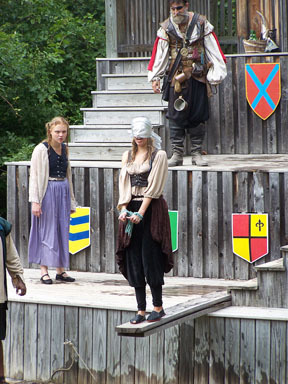 It starts at 8:00am, and runs all day through 10:00pm, with noon and 5:00pm breaks for meals. Dryden Daily KAZ reports from the Dryden Board of Education meeting that Dryden schools, with support from Sertoma, local churches, and the Girl Scouts have sent food home with 24 elementary school children, and will be growing up to 36 this year. As I drive around Tompkins County, whether in downtown Ithaca, Triphammer Road, or along Route 13 in Dryden, I keep seeing "for rent" signs on commercial buildings. Some of that has to do with the economic downturn, some has to do with seasonality. A lot of these buildings have been empty or marginal for years, maybe even decades. I'm pretty sure the empty Yellow Barn Commercial Park with its new big signs has been there for decades. I remember looking at the Prudential building on 13/366 back in 2001. Even Pyramid Mall - sorry, The Shops at Ithaca Mall - has felt weak for a long long time. Does hope really spring eternal? 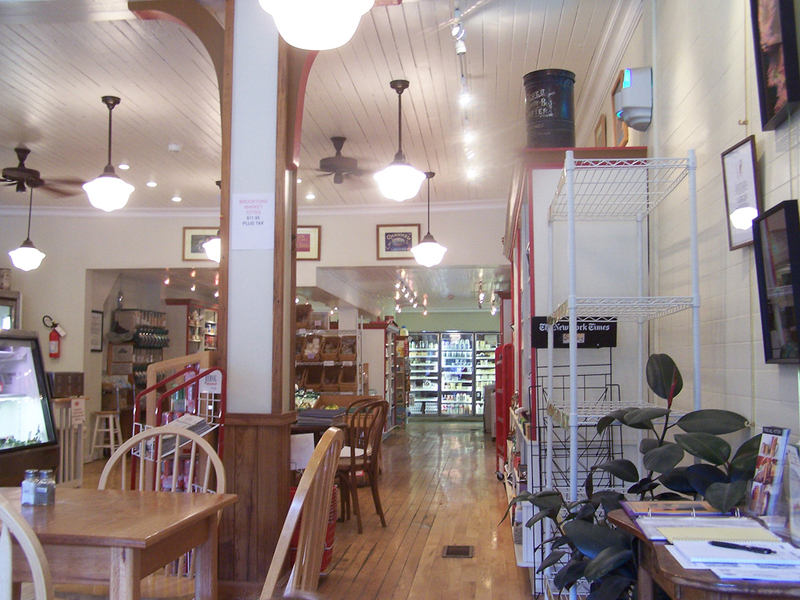 Tompkins County certainly has more large retail than it used to, but lots of this space gets used only occasionally, if at all. People keep building more and more new places, but they don't all seem to find tenants. Even some that do find tenants - like the development on 13 that held Office Depot and Office Max and AAA and Hollywood Video - just can't hold tenants, and evolve to empty. The Dryden Community Center Cafe has made the four corners area in Dryden a much more frequent destination for me, but the area still hasn't recovered from the departures of a few years ago. As Dryden ponders zoning, let's try to remember that we - and the surrounding area - aren't actually using all we have particularly efficiently. I'm surprised this has been so incredibly difficult (it wasn't at previous meetings), but Thursday's EPA public meeting on hydrofracking is cancelled, the event postponed until likely September. Apparently closing one lane of traffic for construction isn't working out so well - motorists seem to go the wrong direction enough to be a problem. Be careful! 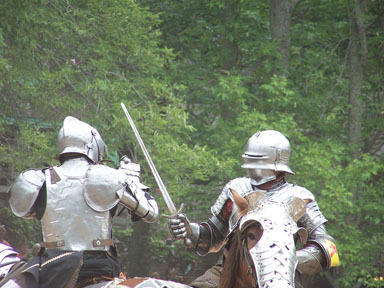 It's just about here - the Dryden Lake Festival will be this Saturday, August 14th. 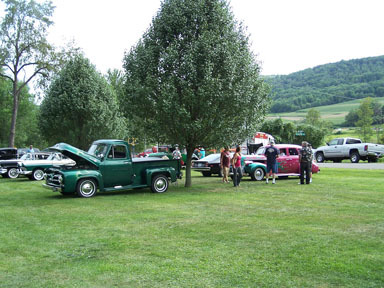 They'll be having races - including canoe races and a 1K paddle/5K run race - in the morning, with music and classic cars in the afternoon and fireworks at night. 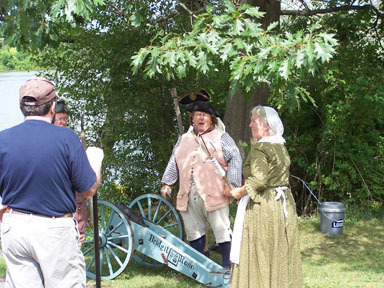 Water dog demonstrations and a Revolutionary War demonstration will add to the variety. Cathy Wakeman's Dryden Town Talk looks over the festival, as well as work to make the Dryden Community Center Cafe more accessible and Saturday's barbecue at the Varna United Methodist Church. Konrad and Sungiva, of course! 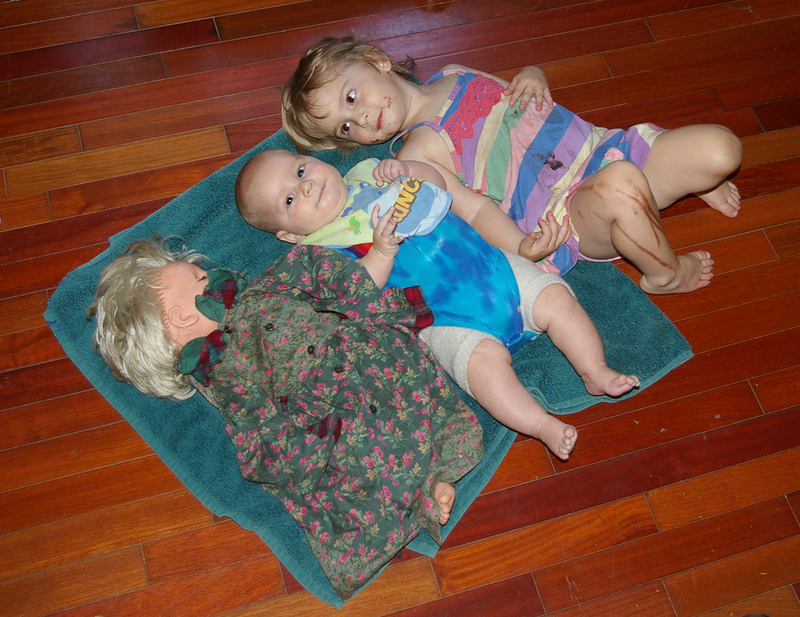 Konrad, Sungiva, and a big doll. I only managed to get over to the Dryden Lake Festival for a few hours on Saturday, but it was amazing. I loved the Revolutionary War reenactment tent, and not just because they were firing cannons and muskets. Preparing to fire a cannon. I saw a few canoe races, and went out twice myself. Unfortunately the Dryden Republicans beat the Dryden Democrats every time - it happens. The lake was beautiful, and they had a fishing derby and water dog demonstrations going on. There were also vendor booths selling various foods, items, and ideas. 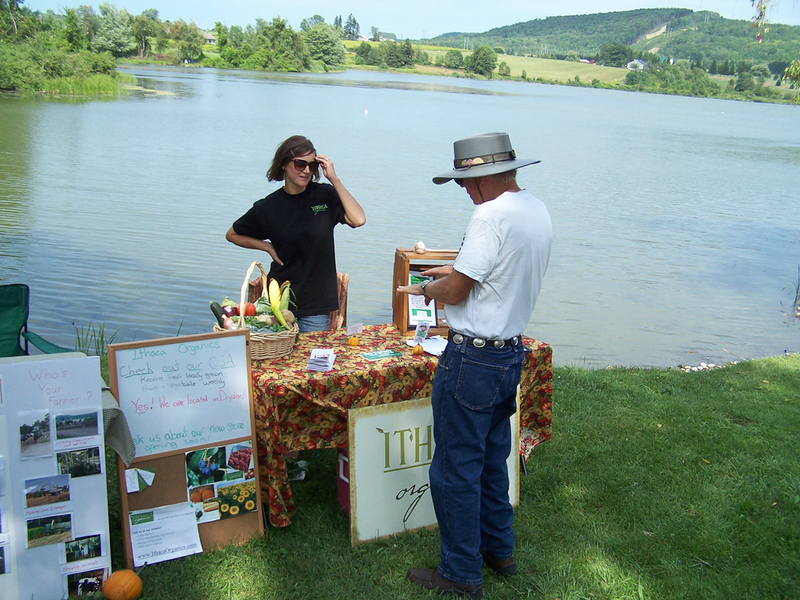 Presenting Ithaca Organics, grown in Dryden. The classic cars were a fine component. I seem to have taken up gardening and stonework this summer, so probably can't take up auto repair too, but it's always nice to see cars built in an age when the insides of cars were supposed to be interesting to their drivers. We missed the fireworks, as an extended stay in the bouncing tent made Sungiva just a little tired. She loved the horse, goats, and alpaces too. The music we heard was great, and it was good to see so many people out on a beautiful day in a beautiful place. I've also posted a gallery with lots more to see. 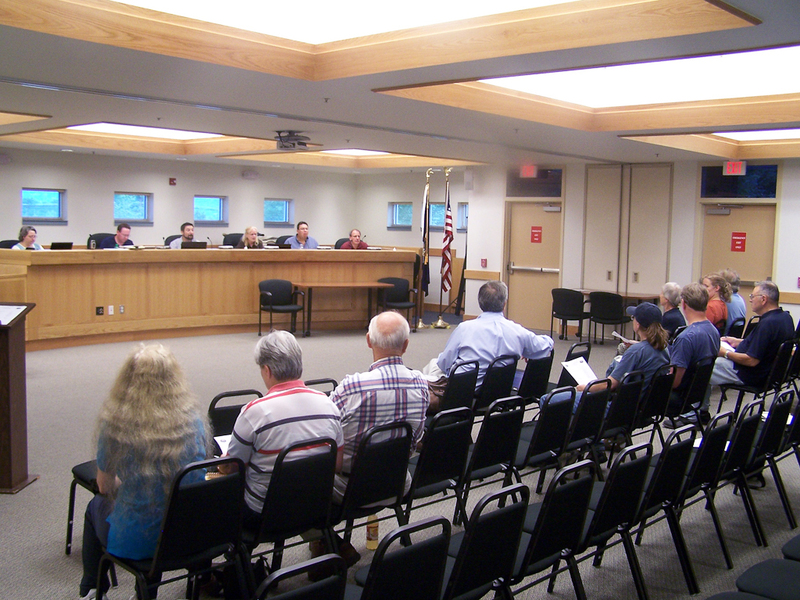 The Town Board took a more direct role in drafting the final zoning ordinance than the Planning Board suggested at the end of August. Steve Stelick suggested the idea, but board members seemed to jump on it. There were questions about the use of email, which Supervisor Mary Ann Sumner clarified would be only for agenda-setting and question collecting. The public will have a chance to speak at the end of these working meetings, but there wasn't a broad discussion of when in the process they'll solicit public input. August Dryden Town Board meeting. Most of the audience and the speakers were from the Varna area, and the board separated the Varna work from the rest of the zoning. Work toward a Varna Master Plan went back to the Planning Board and the consultant who's been working on the zoning so far. I probably should have asked what that separation would mean for Varna's status in the zoning draft the Town Board will be working on. The first of these meetings will be September 8th, with the regular non-zoning business starting at 7:00pm and the zoning conversation starting when that's done, likely around 8:00pm. It sounded like they'd be taking up setbacks, one of the parts of the law I've heard no complaints about. I don't have a clear picture of how this affects the likely outcome of the zoning process. I like that the Town Board members are now going to be clearly responsible for the work, but beyond that I'm not certain how quickly this will flow or what kinds of public input they'll be seeking. I doubt they'll rush it through, at least, but there's still a lot to watch here. A Dryden resident suggested I post a link to this discussion of the Republican primary for Governor. Republicans seem to have a lot more primaries this year at the state level than Democrats, and I have to admit I've not been paying close attention. 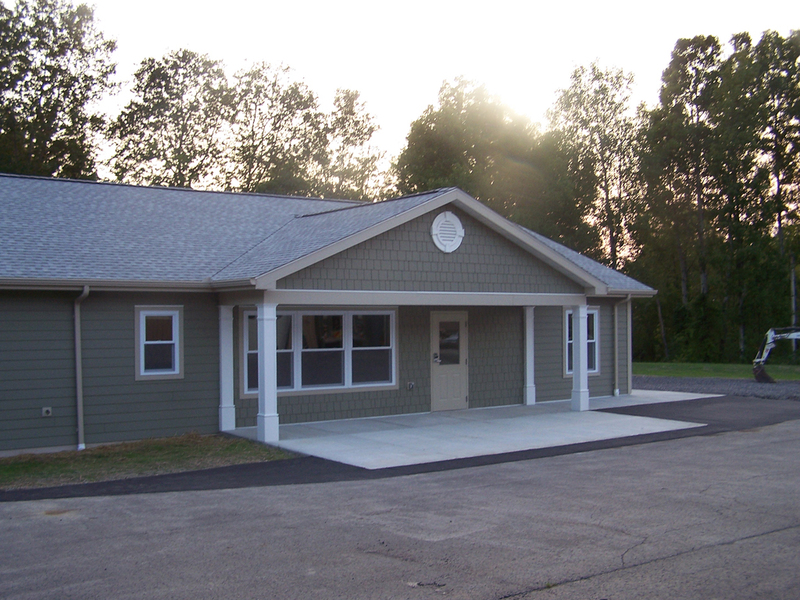 The Varna Volunteer Fire Company has built a new bunkhouse, a building neatly hidden behind their station that lets them provide housing to up to eight fire personnel who will be ready to respond to calls quickly. VVFC bunkhouse ready for work. The VVFC has been talking about a bunker program for longer than I've been running this site. Cayuga Heights and Dryden both have bunker programs, which make it far easier to ensure that responders are ready to leap out the door whenever there's an emergency. Room in the VVFC bunker. I've posted a gallery of photos showing the construction of the bunkhouse over time and its current pristine interior. I'm sure it will be getting a lot of use in years to come. I'd heard that the primary reason that Cornell abandoned its 2005 plans for a wind farm on Mount Pleasant was the Federal Aviation Administration. This had come up in Dryden meetings, and there was a poster at the East Hill Flying Club, but I didn't know how seriously to take it. Eliminating turbine clutter on radar is complicated. Part of the challenge is that many radar systems in use in the United States date back to the 1950s and have outdated processing capabilities - in some cases, less than those of a modern laptop computer. While there are technology fixes to ease interference on these aging systems, it can be tricky to filter out just the turbines. On radar, "a wind turbine can look like a 747 on final approach," said Peter Drake, technical director at Raytheon, a major provider of radar systems. "We don't want to have the software eliminate a real 747." The Energy Department is optimistic that all of these issues can be sorted out, but I'm guessing that in the short term this means that large scale wind farms in the immediate vicinity of Tompkins County Airport, especially near the flightpaths, is not likely to be a popular idea with a particular special interest that can actually stop things. I've noticed for a few years that the flags on fire stations and at the State Police are sometimes at half staff when the rest of the flags in the area are flying normally. This week, I got to know about one of those half-staff flags, and had the honor of seeing it lowered to be given to the family. 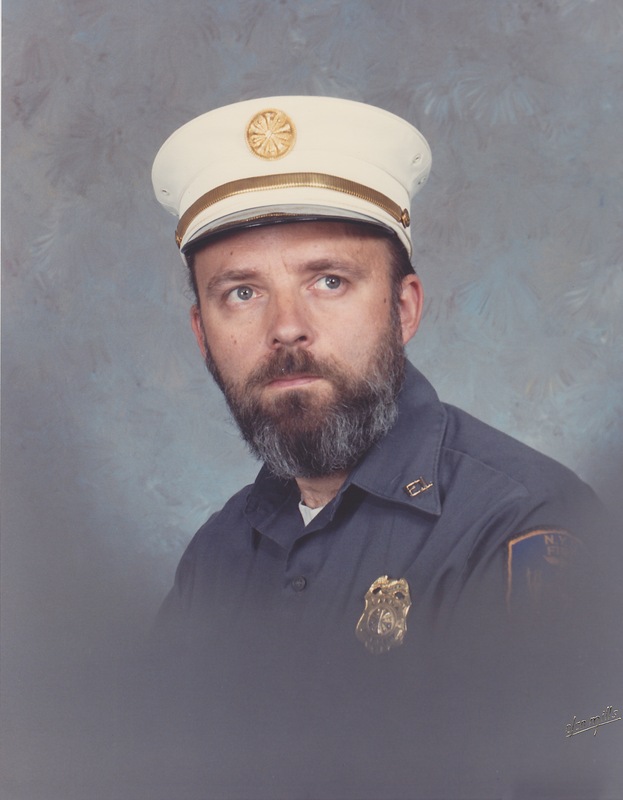 Ted Szymanski was chief of the Varna Volunteer Fire Company in the early 1980s after years as a volunteer, captain, and deputy chief. 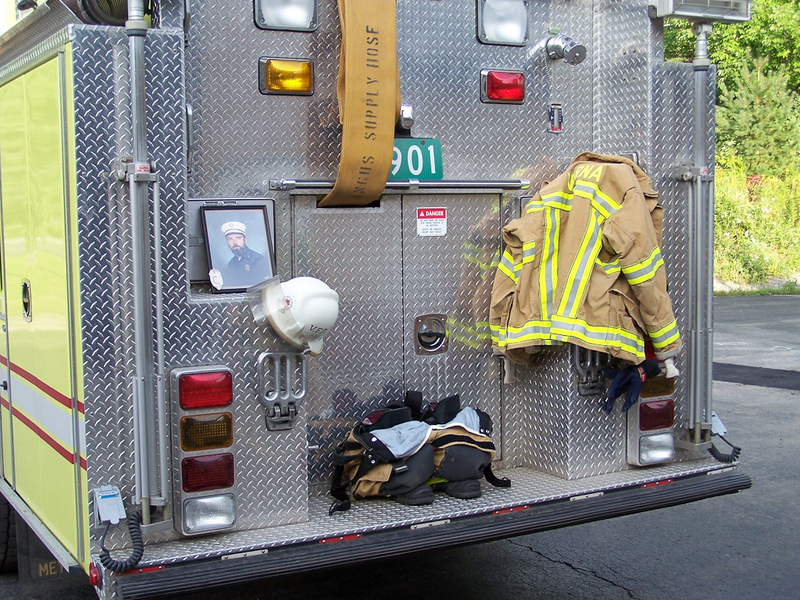 He was a fire instructor as well, an adjunct instructor at the NYS Academy of Fire Science in Montour Falls and the National Fire Academy. By day, he was a math professor at TC3. Ted Szymanski as Chief of the Varna Volunteer Fire Company. 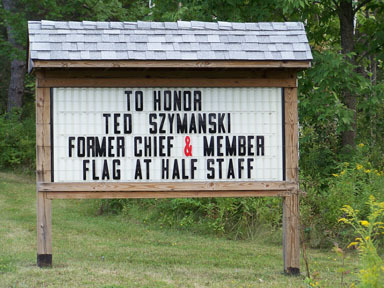 Szymanski's wife Mary told some of Ted's stories. My favorite was the one where he was inside a burning building and a phone kept ringing. He finally picked it up, and explained that he was fighting a fire. The woman at the other end thought it was a strange joke the owner of the house was pulling to get out of finishing some work for her. 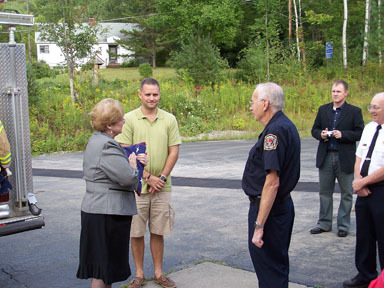 He got back to fighting the fire, but half an hour later a car pulled up, the woman got out, and marveled that yes, there really was a fire there. 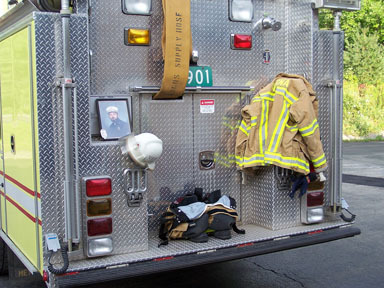 Turnout gear arranged in memory. Mary and Sean Szymanski accept the flag from Duane Testut and Chief Roy Rizzo. I've posted a much larger gallery of the family's visit and receiving the flag. I've gone to Brookton's Market a few times lately in the morning with Sungiva. It's kind of out of my way (7 miles), but I needed to take pictures in the area, and any time I'm in Brooktondale and they're open, I stop. It's not your average convenience store - for one thing it has produce. It has a comfortable place to sit in the front, complete with child-size chairs that Sungiva loves and children's books she explores. 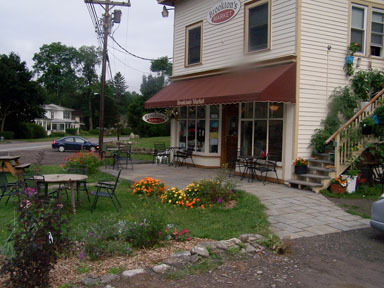 They combine a small grocery store with a deli, desserts, and coffee shop, creating something very comfortable that I'd love to see in my neighborhood. Seating at Brookton's Market, Brooktondale. The main complaint I've heard about the place is that it's expensive. I suspect that's true compared to Wegmans or Aldi, but if I compare it with its typical gas station peers you get either more or better for your money. (Yes, I drink gas station coffee nearly every day.) It's strange how a space that invites you to stay awhile can have an effect, especially if that space isn't all formica or plastic, and the impact of seeing produce in a universe typically filled with processed food is huge. So great, this is a very nice model, and you certainly could build it where Dryden's convenience stores are now. We're not banning anything in Caroline with Dryden zoning, right? So what's the problem? A place like this would be great in Ellis Hollow, maybe near the Ellis Hollow/Ellis Hollow Creek intersection, which has lots of subdivisions to its east. That intersection is 4 miles to the convenience store in Slaterville Springs, 4.3 miles to P&C in East Hill Plaza, 5.4 miles driving to Brookton's Market, and 5.5 miles to Ludgate Farms over on Hanshaw. The neighborhood certainly could support the slightly higher price of the food, and avoiding five mile trips is generally a good thing. When gas prices are high, a local source of food would be an even better thing. Farming, farm buildings, gardening, nurseries, greenhouses and the raising of livestock and poultry. Existing farms; roadside stands for the sale and display of farm products provided that any such stand shall be at least 50 feet from the road center line. (See Section 1502.3). 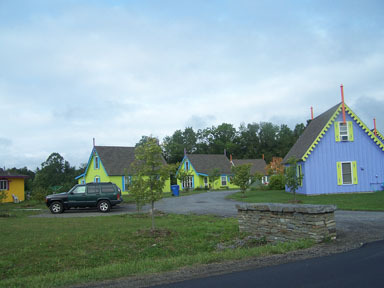 Educational buildings, churches, community buildings, and other semi-public structures. That's all that's allowed - except that by special permit you may be able to have "not more than two employees" for a home occupation. "Professional or service nature" means that you're not selling objects. The new zoning is barring "Retail Business - Any establishment selling goods to the general public for personal and household consumption." I understand that Ellis Hollow might not be seeking convenience stores, and that it's difficult to write zoning that allows certain kinds of stores while prohibiting others. Still, it seems odd at best that Ellis Hollow residents are forbidden short trips to buy food. The only real bright side I can see is that maybe this would encourage someone to build such a thing in Varna, where it's likely to be allowed however the zoning turns out. That would be good for me, but not really the right answer. The church closed in 2004 and was remodeled in 2007. 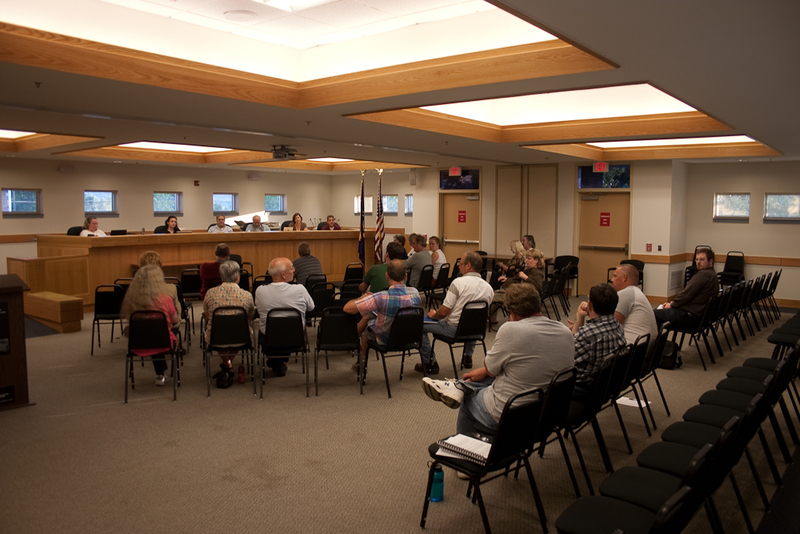 Near the end of the July meeting on the proposed zoning, builder Bruno Schickel asked why the tables in Sections 605 and 606 set a limit of four units per acre on individual single-family homes. Other approaches in those tables, which I thought allowed far too much density period, allowed up to ten units per acre. While I understood (though disagreed with) most of Schickel's other points, that one left me wondering. The Fall Creek neighborhood in Ithaca is about 5 or 6 units per acre, and I'm pretty sure that Corning, where I grew up, stays below 8 units per acre when single family homes are the model. I understand that smaller (and taller) houses can work very well on smaller lots, but what might tempt us to experiment with such a thing? Dense housing developments in Dryden are generally - well, they're generally not especially attractive. 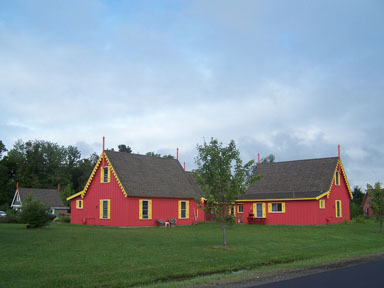 While looking around , though, I found a link to one of his more striking projects, Boicevillle Cottages in Caroline. 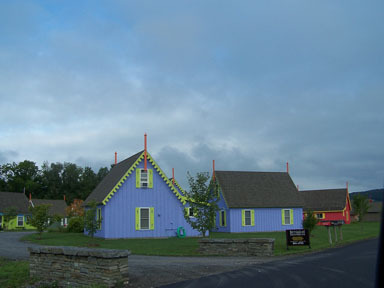 It's a dense little neighborhood of distinctive houses surrounded by largely empty fields. As both Tompkins Weekly (page 2) and today's Ithaca Journal report, he's planning to build another 37 of those on 11 acres. Maybe those are the reasons Dryden zoning prohibits more than 4 single-family homes per acre? Zoning call for up to 135 units, but will be affected by grade issue. Those are some serious grade issues, and the proposed zoning would limit it to more like 90 units, but could I imagine a development of these kinds of 800-1500-square-foot cottages there? Without wincing? Yes, I can - though maybe the paint colors on the houses visible to the road and the neighbors could be, maybe, just a little more muted? To run the Saunders Greenhouse hypothetical another way, I don't have high hopes that most developers of large-scale apartment complexes would put anything on that land I'd regard as something other than blight. I get a headache just imagining a Varna II style layout there, maximum boxes made possible by massive retaining walls. I suspect there are other people in Dryden who think I'm crazy for liking Schickel's cottages, and who'd like to make sure that even that can't happen. From my perspective, though, I could agree with Schickel's questioning the rules - if most developers created work like his. Since they don't, however, I think even the rules Schickel finds too constraining to be too loose. How many cars go by every day? Well, New York State seems to think about 7,383 pass my house each day. 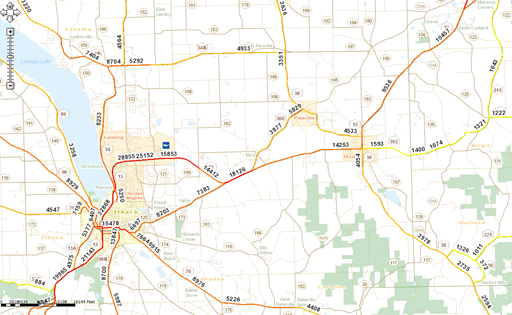 It could be worse - the 13/366 overlap has 18126, and Route 13 between there and the Village of Dryden shows 14,253. State highway traffic counts (Click to enlarge). It would be an even better map if it included counts for smaller roads, no doubt. When I was buying my house, there was a small problem. The mortgage folks wanted a water test, and we hadn't done one. Why hadn't we done one? Because although the house has a well, it only goes to the garden faucets these days. It's on Bolton Point water, and connected to the sewer system as well. That got us through that hoop, though it also took a few years before I could convince my insurance company that there was a fire hydrant just down the way. Apparently water and sewer are largely invisible, even to the people who track infrastructure. I didn't think hard about it at the time, though maybe I should have. Infrastructure in Dryden (Click to enlarge and see the whole town). There are only two large areas with both water and sewer in the Town. 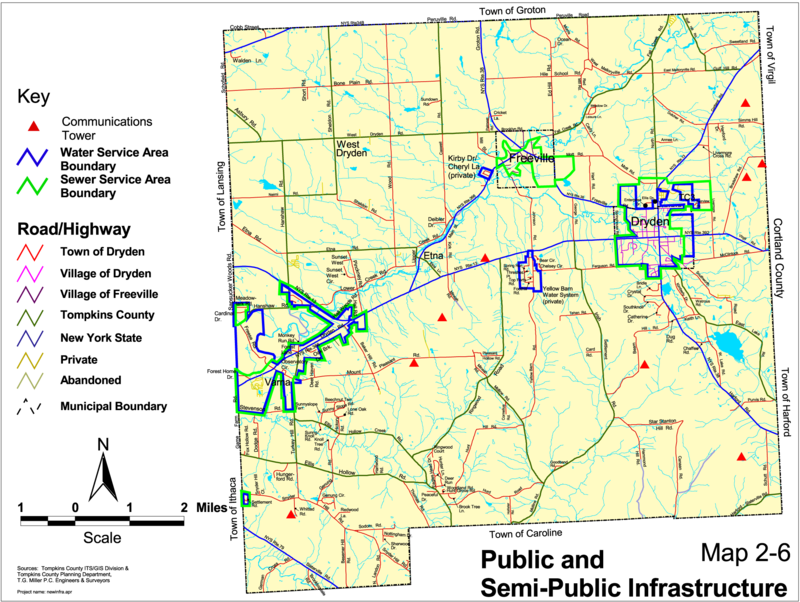 The first follows 366 from the Ithaca line out to some of the Route 13 area, and then goes east from there along 13, Lower Creek, and Hanshaw Roads. The other is the Village of Dryden and some of its customers. Some areas along Freese Road have water but not sewer, and there's a tiny area south of Snyder Hill Road which has both water and sewer. When I first moved in, I was delighted to have tap water that tasted better than the sulfury garden water, and not to have to worry about a septic tank and leach field. Yes, the taxes are significant - no question! - but maintaining wells and septic systems isn't a free lunch either. I was surprised by the rush to reject a water district in Ellis Hollow in 2006, though probably less surprised by the rejection than that it had come up at all. Development follows infrastructure, after all, and Ellis Hollow is also even more spread out than the expensive Turkey Hill water and sewer district area. It just wasn't going to happen. The Comprehensive Plan and the Draft Zoning both push hard on concentrating development in areas that already have infrastructure. From a planning perspective this makes sense, as septic systems are hazardous in densely populated areas, infrastructure is expensive, concentration allows the creation of neighborhoods, and in some ways can reduce transportation costs. From a resident's perspective, though, this is not much fun. Most residents have no plans to build even four units, much less ten units, on their property, yet pay lots of taxes for the privilege of letting someone build developments they might not even support. Many of these taxpayers have lots or frontage too small to let them take advantage of such possibilities, even if they see them as an opportunity. The result is that living in an area with water and sewer districts - but no local village - is a risky proposition. Developers are steered to your neighborhood by default, and because that neighborhood contains only around a tenth of the residents in the town, you lack political clout to say no. 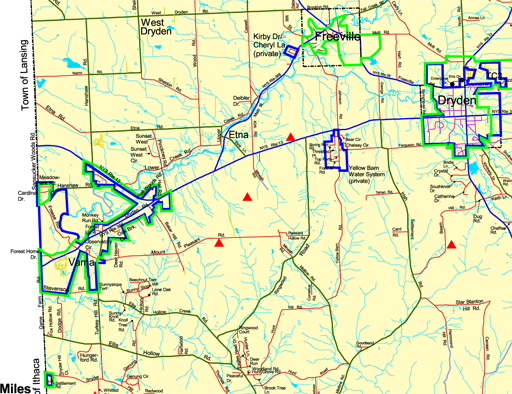 The existing western area covered by the water and sewer districts is pretty much stuck, unless it can find the wherewithal to form a village and take control of its own destiny, as the Village of Dryden certainly has. In the meantime, we'll be forced to keep a paranoid eye on the Town of Dryden - and I'm happy to report that lots of Varna residents have indeed been showing up to meetings. The zoning also contains Optional Neighborhood District Overlay areas around Etna and south and east of the Village of Dryden. Perhaps recognizing that cranking up the allowed density to the levels permitted by the hamlet and commercial zoning (10 dwellings/acre) would ensure that those areas avoid ever getting water and sewer infrastructure, the maximum density there is set to six dwellings per acre. My strong advice to those areas, though, would be to avoid water and sewer unless there's a catastrophic need or you can form or join a village and localize land use decisions. The current planning model may make sense on a macro scale, but it has the really nasty side effect of inducing paranoia about your neighbors once you've read what's allowed in areas with infrastructure, and "in-between densities" are worth worrying about. Perhaps New York State's efforts to reduce the overall number of municipal governments might better be served by trying to consolidate the piles of water, sewer, and lighting districts into villages than by encouraging villages to dissolve. The latest in a series of community meetings to discuss next year's County budget is coming up Thursday evening, September 2 in Dryden. 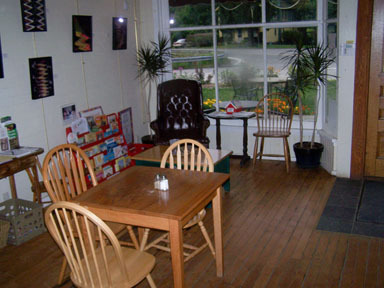 The meeting will be held at the Dryden Community Cafe, 1 West Main Street in the Village of Dryden, beginning at 7:00 p.m. The session is sponsored by County Legislators Michael Lane (District 14), Martha Robertson (District 13), and Brian Robison (District 9). The session is free and open to the public, and everyone is encouraged to attend. The session will provide citizens the opportunity to learn about the fiscal challenges the County faces as it prepares for 2011 and to advise regarding how the County should respond. "We are in economic crisis," Legislator Lane states. "The effect of limited revenues and unfunded state mandates places Tompkins County between the rock and hard place of cutting programs or raising property taxes. We are bringing this budget presentation to the Town of Dryden to inform residents about the process and to seek their thoughtful comments. I want to hear from people in the Dryden and Freeville area about what actions I should take as their County Legislator." "We have some really tough choices to make; there can be no 'sacred cows' this year," Legislator Robertson cautions. "Everything is on the table, so it's very important that taxpayers understand what the choices are and give us their feedback. I'm pleased that we can offer this session in Dryden, and I hope neighbors can find the time to join us on September 2." This is the fourth in the series of legislator-sponsored community meetings on the budget. Similar sessions have already been held in the Towns of Lansing and Ithaca, and in the City of Ithaca's Fall Creek neighborhood. For more information on the upcoming community meeting, contact Legislator Lane at 844-8313; Legislator Robertson at 274-5434 or 272-0584; Legislator Robison at 351-3601; or Tompkins County Public Information at 274-5555. If that sounds familiar, it echoes this Ithaca Journal story. No, I didn't copy the Journal. The quote above is the press release the county issued, and the Journal's "staff report" is the press release edited slightly to fit their style. It should be a good meeting, though, and an opportunity to see just what goes into these difficult conversations. Today's Journal has a report on Karen Rachetta, Dryden High School's new principal. The EPA forum on hydrofracking that was cancelled in August is now rescheduled for September 13th and 15th in Binghamton. There are more speaker slots available to those who call in Friday.